There is no free market of ideas, candidates, or political parties on Election Day. It’s not for a lack of demand. According to the latest ABC News/Washington Post survey, 57 percent of Americans are dissatisfied with the choice between Donald Trump and Hillary Clinton; 44 percent say they would prefer a third-party candidate to run. A recent Associated Press/University of Chicago poll revealed that 71 percent of millennials want an alternative to the Republican and Democrat nominees. In another survey, Public Policy Polling matched “a giant meteor hitting the earth” against Clinton and Trump. The killer asteroid nabbed 13 percent of the vote, far more than any third party now ballot qualified. The establishment parties benefit from strict ballot access laws that make it difficult for alternative candidates to participate in elections. In order to get on the ballot, independent and third party candidates must meet a variety of byzantine state-specific filing requirements. Complex stipulations and regulations determine whether voters will be able to choose from a larger pool of parties and candidates. Unorthodox candidates must undergo bureaucratic and burdensome trials in all 50 states before they are permitted to run for office. And the laws have proven effective: no independent or third party presidential candidate has won an electoral vote in 48 years. To get on the ballot nationwide this year, it is estimated that a maverick presidential candidate must have more than 880,000 signatures on petitions. The major parties regularly challenge the legitimacy of ballot access petitions (leaving out a middle initial is among many reasons that a name can be considered invalid), so securing a ratio of two-to-one of the required number of signatures is the pragmatic strategy for campaigns. That means an army of petitioners going door-to-door should collect about 1.76 million names in 2016. If that becomes difficult to manage, a candidate may hire professional solicitors who charge $2.50-$5.00 per signature. You do the math. Consider how the ballot access system currently works: Texas requires independent candidates to collect 79,939 signatures (but double that number to be prudent); to become a recognized political party in North Carolina, signatures equal to two percent of the previous gubernatorial election are necessary — that adds up to 89,336 names (secure about 180,000 to be on the safe side); West Virginia demands 6,706 signatures on ballot access petitions if you want to run for the White House (please turn in twice that amount.) Candidates must also pay a hefty filing fee of $2,500. Nine states don’t even allow voters to write-in names of their preferred candidates. The Libertarian Party beat Oklahoma’s tightly controlled process by obtaining more than 42,000 signatures. The petition campaign cost the national party $104,000. For third parties, organizational infrastructure, as well as deep pockets, is vital — running for President means conducting 50 races simultaneously. Start-up campaigns simply do not have the money or the manpower to be competitive with Democrats and Republicans because of the barriers the ruling parties have put in place. Disenfranchising candidates is part of the election game as well. Forty-five states have enacted “sore loser” laws denying defeated candidates the right to run a third party or independent campaign. If a candidate believes political power brokers have quashed any chance to win the Democrat or Republican nomination, there is no second chance. Reasonable ballot access requirements to set qualifying standards are necessary. However, just as poll taxes were set up to keep certain citizens from expressing their right to vote, today’s ballot access laws are deliberately designed to provide a similar obstacle for freethinkers who challenge the political power elites. In 1775, John Adams warned future generations of American voters that, “There is nothing which I dread so much as a division of the republic into two great parties, each arranged under its leader, and concerting measures in opposition to each other. This, in my humble apprehension, is to be dreaded as the greatest political evil under our Constitution.” He was so right. In many states around the country, there are attempts to change the election law and impose a “top-two primary”. Louisiana used this system from 1975 until 1998, and even today uses a variant of it. Washington State started using it in 2008, and California started using it in 2011. A top-two system means that all candidates for Congress and state office run on the same ballot in the primary. Then, only the two candidates who came in first or second can run in November. There have been 119 instances when a member of a party other than the Republican and Democratic Parties ran for federal or state office in a top-two system, and in which there were at least two major party members running. In all 119 instances, the minor party candidate did not place first or second and thus could not run in the general election. The Louisiana variant isn’t bad, because Louisiana abolished the primary and just has a general election in November. But the California and Washington systems result in general election ballots with just Republicans and Democrats on the ballot, except in the rare cases when only one major party members filed, so the minor party candidate can’t fail to place second. Experience teaches that voters won’t pay attention to candidates from parties other than the Democratic and Republican Parties until after the voters know who the two big parties nominated. And in a top-two system, by then, it is too late for the Constitution Party member to get on the ballot. Big business interests like top-two and have funded it lavishly in initiative campaigns, especially in Oregon last year. Michael Bloomberg contributed $2,000,000 to the top-two initiative, as did John Arnold, a Houston billionaire. But top-two still lost in Oregon 2-1. It also lost in Oregon in 2008, also by 2-1. It lost in Arizona in 2012 by 2-1. But it won in California in June 2010, and in Washington in November 2004. The reason it passed in California was that for years, the legislature had taken months past the deadline to pass a state budget. That was because the budget had to pass by two-thirds in each house of the legislature, and Republicans, although in the minority, always blocked the budget. The voters were sick of gridlock and thought top-two would fix the problem. More on this important issue can be found at www.ballotaccessnews.com. Richard Winger is founder of Ballot Access News, the authoritative resource for independent and third party candidates, and those concerned with a free and fair elections. Voters often complain about what they see as a lack of meaningful choice on the ballot, about rarely having the chance to vote for someone other than a Republican or a Democrat. Because Alabama has some of the most stringent ballot access laws in the country, that’s not likely to change without an overdue revision of the rules. 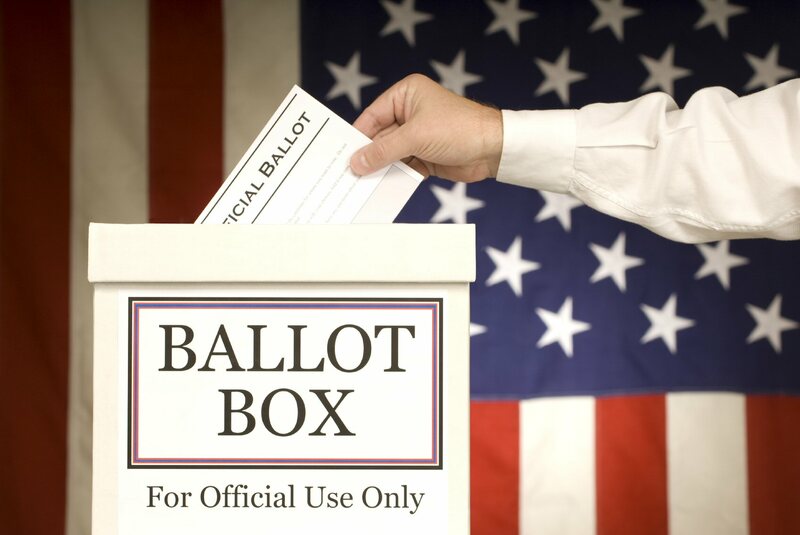 What’s involved in getting a candidate on the ballot? Do political parties matter? In this episode of Home Front, Cynthia Davis is joined by Jim Clymer, former chairman of the national Constitution Party, and Gary Odom, former national Field Director to talk about what happened with Ron Paul, what George Washington said about the way we do things and why we need better options when we go to vote. Both Jim and Gary discuss the situation from their own experiences — as candidates, Constitution Party leaders, lawsuits — and why they are pressing on with the battle. Cynthia Davis is a former four-term state representative in Missouri, ran for Missouri Lieutenant Governor in 2012, and is the creator of the Home Front with Cynthia Davis podcast. True grassroots political action is that which springs up from a cause that catches fire at the local level, and then spreads to communities across the country. It does not come from the top down. The fervor for a cause arises like the “brushfires of freedom in the minds of men” as described by Samuel Adams, which spread across the landscape. It was grassroots action that won us a place on the New Mexico ballot … and Wisconsin too. And it’s tireless Constitution Party activists who are hard at work securing a place on the ballot from Alabama to Alaska. Your financial help is key to this activity.Please read our latest newsletter — and, as part of your role in organizing at the grassroots level, send it along to fellow patriots and post it on Facebook. At the same time, I urge you to generously invest in the Constitution Party. There are only 125 days from now until voters go to the polls. I hope some patriots will be motivated by that number and will give a gift $125 … or just $25. Every donation counts. Summer is traditionally a slow season for fundraising, but it’s the prime time for grassroots politics. I believe our Constitution Party can meet the challenges of contributing and campaigning. This is an excellent article and worthy of kicking of the season of celebrating the Declaration of Independence with a review of America’s history and how far we have fallen from our ideals. 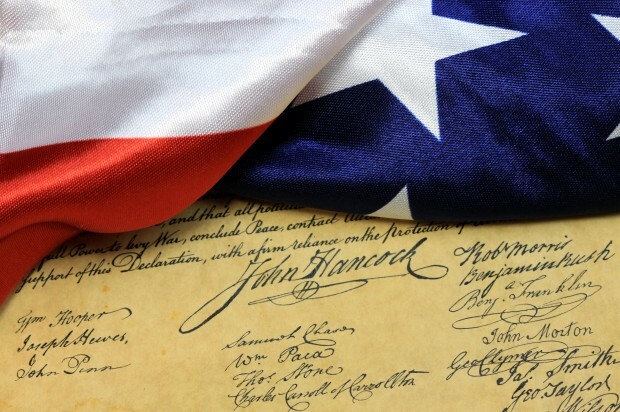 The author says, “Without a strong Bill of Rights to protect us — indeed, secure us — from the dangers of our own government, we will have gone full-circle to a Post-Constitutional America that shares much in common with the pre-constitutional British colonies. We believe the Constitution Party is the opening volley of the “widespread, mainstream movement of opposition” to the policies of both major political parties, which are happily destroying the principles of Liberty for their own ends and destroying America in the process. Read this article and weep, then roll up your sleeves and get to work! First, donate to the national Constitution Party to help us attain ballot access in every state, the same ballot access provided free to the two main parties in charge but denied to alternative party candidates. Donate here, or become a member of the Howard Phillips Legacy Society. Second, get involved with your local and state parties. If one is not available to you, work with your state leaders or national area chairman to get one started. If not you, then who? Find out who to contact here: State Parties Or send an email to commsdirector@constitutionparty.com, Or call 1-800-2-VETO-IRS.